In this episode of Ask Me Monday, I broke down the basics of How to Knit a Blanket. This video isn’t just for newbies, though. It’s for anyone who has wanted to tip-toe into designing but didn’t know where to start. 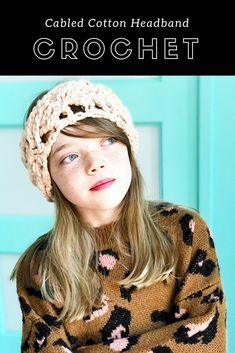 We cover how to choose supplies, what stitch patterns work best, and how to write your own pattern. Enjoy! There aren’t really any rules about what yarn you can and can’t use to knit a blanket. Any weight from sock to mega-bulky will work, depending on the desired effect. Fiber content can vary, but usually, 100% wool and blends with silk, rayon, and cotton will provide solid results. If being washable is a deal breaker than look for Super Wash fibers (which have been treated to be able to handle a reasonable amount of warm water and friction without felting) or, of course, there are always 100% acrylics which these days are often just as soft as their animal fiber counterparts and as indestructible as, well, all plastic products. The latter are also often the least expensive and are readily available at big-box retailers. Although, washability is usually of utmost importance for baby blankets if you’re truly making an heirloom — especially one including lace — I would consider that something that special deserves an occasional handwash. In other words, if you want to knit your new niece a cashmere stroller blanket I’m all for it! Just be sure to include washing instructions when you gift it. All in all, find a yarn that is really soft in colors you love enough to live with for the tie it’ll take to knit a blanket. Blankets are an exercise in love and patience, so set yourself up for success by treating your experience to nice yarn. PRO TIP: Choose a multi-ply yarn, versus a single ply or roving yarn, for blankets as they’re less likely to pill with wear and washing. I recommend ALWAYS using circular needles when knitting a blanket. You will still knit back-and-forth in rows, but the weight of the numerous stitches and growing fabric will rest on your lap as you work, rather than your wrists having to bear the strain. I want you to be a lifelong knitter, so do me a favor and save your wrists now by choosing the right tools! Knitter’s Pride has several, great circular needle options in different materials such as: Zing! (lightweight metal), Symphonie Dreamz (polished wood), and Marblz (marbled plastic.) I think having an interchangeable circular needle set is the most cost-effective option for knitters as it gives you the versatility of changing out needle sizes if needed to obtain gauge, without having to go out and buy another circular needle. Interchangeable sets are particularly handy when designing your own blanket as you have different needle sizes and cord lengths to swap out as you go from swatching to knitting your full-sized project. We’re lucky today, as there are a lot of circular set options out there to fit most needs and budgets. My absolute favorite right now, though is the Knitter’s Pride Ginger set. This may seem like an obvious choice for a redhead, but I seriously feel spoiled by this set. It comes with THIRTEEN different sized needles made from the most beautiful and smooth wood and is housed in a denim case that doubles as a pattern holder. Whether I want to use a Madeline Tosh laceweight yarn to make a baby blanket, or Loopy Mango Merino No. 5 to knit a lapghan, this set has my needle needs covered! Bottom line, though, choose needles that feel right in your hands, work well with your chosen yarn, and make your knitting experience as comfy as possible! No Borders. If you’d like to skip incorporating a border around the perimeter of your blanket, then it’s important to choose a stitch pattern that won’t curl. Most which incorporate alternating both knits and purls will to the job. Some great options are Garter Stitch (ok, I just contradicted myself, but this stitch pattern is the only one that doesn’t require purls and won’t curl), Seed Stitch, Moss Stitch, and Basket Weave Stitch. Framer. If you choose a stitch that will potentially roll such as, Stockinette Stitch, Reverse Stockinette Stitch (with or without Cables), or many Lace Stitches, then you’ll want to build-in a border around your blanket. If you realize after the fact that you should’ve included an edging, then a fail-safe is to crochet a border (single crochet or half-double crochet rounds, will usually do the trick as long as you take care to work 3 stitches at every corner to prevent bunching.) Ideally, however, you’ll build a border into your pattern before you start. I suggest going with 1″-2″/2.5 cm – 5 cm of border stitches, in a pattern such as suggested in the No Borders section above. Welts, alternating between Garter Stitch and Stockinette Stitch rows, also work well. Gauge in blankets is not crucial. Since this isn’t a project that doesn’t have to fit anyone, it, therefore, doesn’t need to be spot-on. Since you’re making this pattern up yourself, however, you will need to estimate a cast on number for your project. Once you’ve selected your stitch pattern(s), knit at least a 4″/10 cm swatch. Row gauge isn’t that important, as you can simply just keep knitting until you get to the desired measurement (or 1″-2″/2.5 cm-5 cm before, if you’re adding a border), and then bind off. 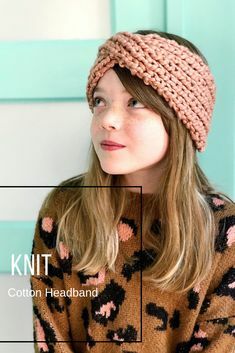 What you’re really looking for here is, roughly, how many stitches per inch your yarn knits up at using the size needles and stitch pattern you’ve chosen. Please note that if you’re choosing to make a blanket that has a border, with a background stitch and an additional panel element like a cable, your swatch should include all of those elements. Ok, so you’ve chosen a yarn which for this demo, let’s say, is a sport-weight. You’ve also knit a swatch and measured it, and figured out how many stitches per inch it gets. Let’s say, 5 stitches. Now it’s time to figure out how many stitches to cast on for your blanket. According to the above chart, if you’re making a baby blanket, it’ll be 40″/102 cm wide. Now it’s time for some math. Assuming your stitch pattern either requires a multiple of 2, 5, 9, or 10, then that’s your cast on number. If you chose a stitch pattern than needs, say, a multiple of 4, then just round up or down to the nearest multiple. Again, this is a blanket so exact measurements aren’t key. Once you’ve cast on, just knit in your planned stitch pattern until the blanket, in this example, measures 40″, then bind off. That’s really all there is to it! Designing basic blankets isn’t scary or difficult, and is a great exercise in creativity with little risk and ultimately providing beautiful results. Have fun, and don’t forget to tag @vickiehowell with your blanket WIPs and FOs! This brings back so many memories! I learned to knit from an elderly friend of the family when I was 11 years old (1969). She was always knitting when my family came to visit, and I was so curious, that she agreed to teach me. I bought my needles and yarn at a dime store ( anyone remember those?! )which sold mainly Coats and Clark yarn and Boyle knitting needles. It was years before I was brave enough to make Afghan, but needed a Christmas gift for my sister-in-law. 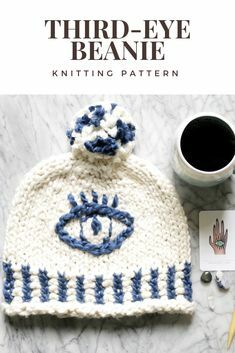 I had bought a book called”Knitting Made Easy” by Barbara Aytes and I found the stitch pattern I liked that was pretty and once you “got” the pattern repeat you could do it without checking the pattern. It was called the “Cotillion Pattern”. I made it from scrap yarn and I think about size 10 needles and #4 worsted yarn that was changed at the end of the repeat pattern (10 rows). I can’t remember what year that was but I think it was about 1984. It turned out great and I know she kept it for many years. It took me forever to make it, so now I crochet my afghans. Thanks for reminding of the joy of creating for others! Aw, what a nice memory. Thank you for sharing! Great article on the process! But you need to fix the example of calculating cast on stitches. If you get 5 stitches per inch, then you need 5 x 40 stitches or 200 stitches for your 40 inch wide blanket. Readers might be confused.